Muriel Stuart was a poet of the so-called “Scottish Renaissance” although she was actually born English of a Scottish father. Despite being born in England, and living there all of her life, much of her work has appeared in anthologies of Scottish poetry. 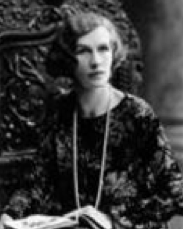 She covered aspects of the First World War and she also concentrated heavily on the controversial theme of sexual politics, eventually giving up writing poetry during the 1930s. From then on she produced a number of self-help books on gardening. She was born Muriel Stuart Irwin sometime during the year 1885, the daughter of a Scottish barrister. Her place of birth was Norbury in South London. Her early education was conducted privately and she followed this with attendance at an art school. Her first experience of work was in the world of publishing but she had overriding ambitions to become a writer herself. She started writing poetry from an early age but it took until 1916 for her work to be seen with various pieces being published in a periodical called the English Review. The author Thomas Hardy became aware of her and gave her much encouragement when he said publicly that her work was “…superlatively good”. She therefore decided to publish two collections of her work, both released in 1918, while a third followed four years later. In the following years she produced another three collections of verse. She used a variety of poetic styles. 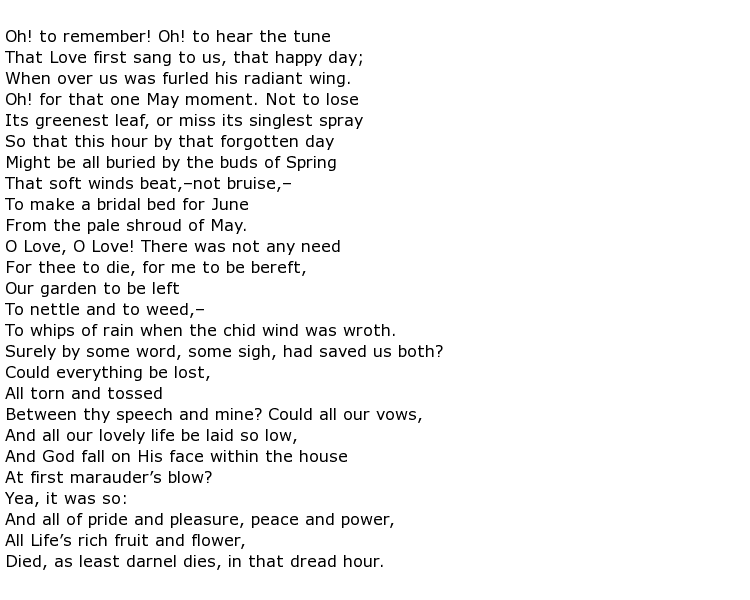 Some, as above, used rhyme in their construction while others, such as her most famous poem In the Orchard, was written as a dialogue, completely devoid of traditional verse forms. Stuart was married twice, her second marriage being to a publisher named Alfred William Board in 1922. She gave him two children, a boy and a girl, and it was after these two events that she decided to give up on writing poetry. Instead she turned to the subject of gardening which was, undoubtedly, one of her passions. In 1936 she had Fool’s Garden published which was virtually a beginner’s guide to the subject and soon became a best seller. She followed this two years later with Gardener’s Nightcap and she spent the rest of her life in a state of relative comfort and contentment. Muriel Stuart died on the 18th December 1967 at the age of 82.